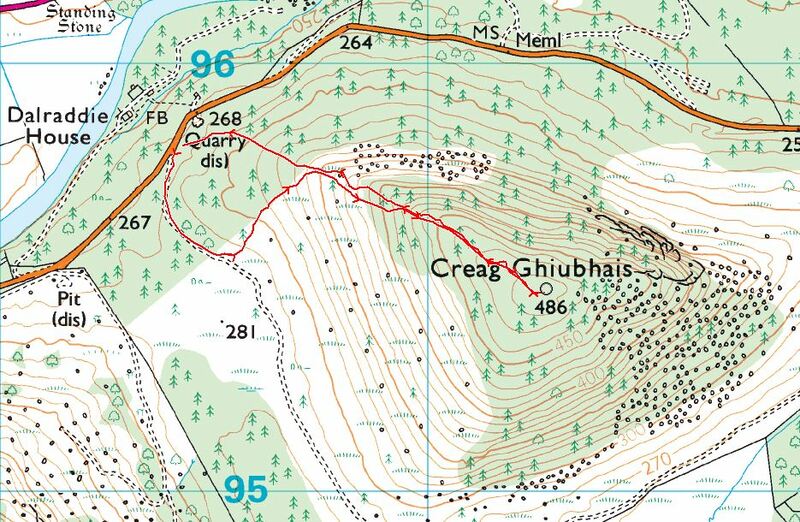 On 6th of April I ran from the house to Glen Girnoc and followed the track around the back of Creag Ghuibhais, Near a big old free standing Pine, I took a faint trod uphill. It took me as long to come back down the same way because of the loose stones. I ran home the same way. This entry was posted in cp47 and tagged Ursula on October 11, 2015 by site_admin. 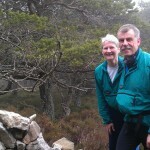 Walked up Creag Ghiubhais with Trish. A smashing little hill. Straight up from the road though the bilberries and heather and over the boulder field to the lovely old pine forest on the top. Great views through the trees too. 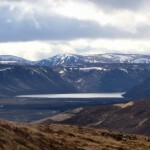 Then back down the western heathery slopes to the track that circumnavigates the hill. This entry was posted in cp47 and tagged RogerC on August 30, 2015 by site_admin. So that’s how to pronounce Ghiubhais, as explained by Owen & Ursula on meeting them just after I finished! 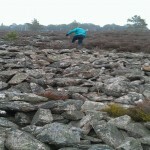 Great wee circuit with some slippery clambering up the rocky slopes. Good ascent up the east side, with peregrines whining away at me, so moved away from cliff to leave them alone. Lovely route through open woods on top and then down the north west slope to pick up the track around the west side, back to car at Littlemill bridge. Just got the run in before the threatening clouds seen over Sgor an h-Iolaire broke into rain. This entry was posted in cp47 and tagged Warren on August 23, 2015 by site_admin. A short evening walk when the weather had finally improved. 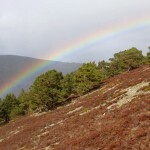 Started near the quarry on the south Deeside road and made the mistake of following the lovely green track round the hill. Much better just to head straight up which avoids the worst of the heather. Came down this way. 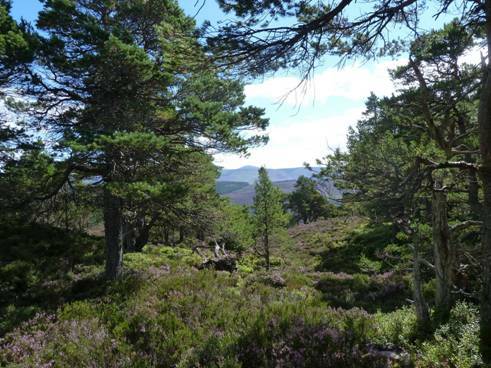 This is one of my favourite small hills in Deeside – the pine trees at the top are all small and gnarled, and there are great views in all directions. Only took 40mins. This entry was posted in cp47 and tagged DaveH, KathyD on May 31, 2015 by site_admin. 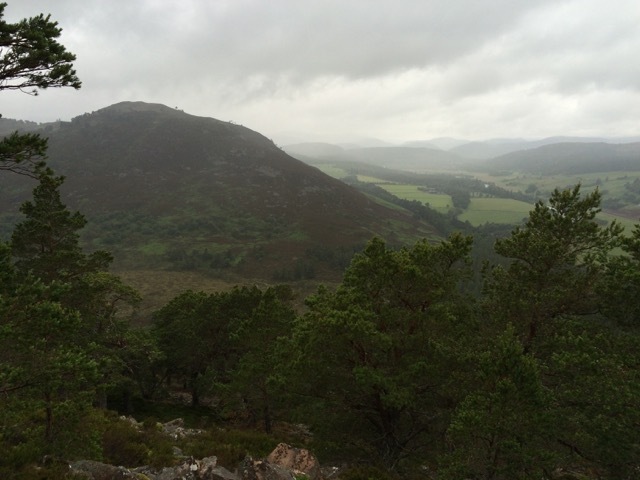 We parked at the bridge over the Girnock and set off up Creag Ghiubhais from the east. 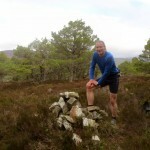 I knew this would be a tough wee climb and it was, up through steep man-eating heather and rocky stuff, and I rapidly realised this was not the best day to have chosen for my first shorts outing of the year as blood started dripping down my shins. 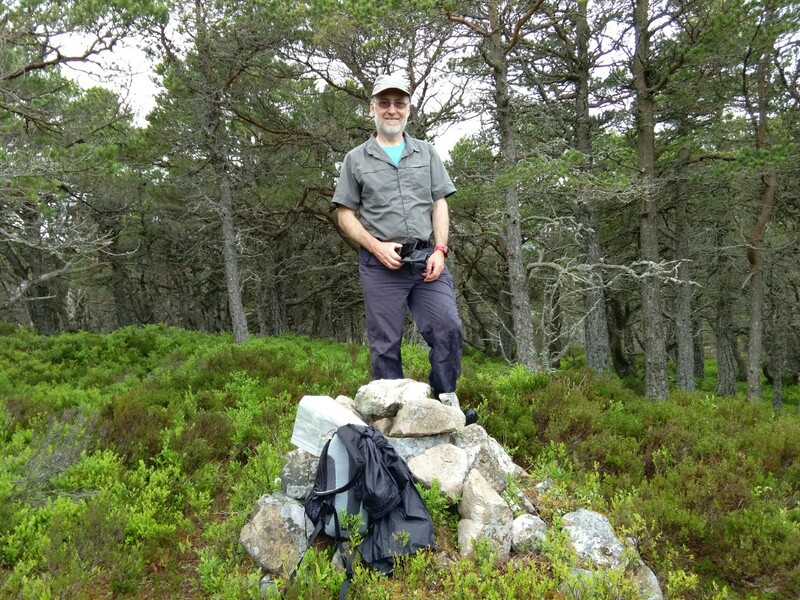 The stunted old pines at the top almost made up for it – this is one of our favouritist spots in Deeside. 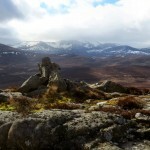 We then dropped off the west side down broken rock and across the bog (bubbling with amorous frogs) to climb towards the gap between Creag nam Ban and the next cp on Sgor an h-Iolaire. It’s a few years since I’ve been up here but I’m sure there were far more deer tracks at the time, now it’s just lots more man-eating heather in amongst one or two magical ancient trees. We finally picked up a path once we got onto the ridge proper and broke into a trot for the first time, but sadly this petered out again soon after the high point. Jon mutterred about turning left once we hit the track, but I (foolishly) told him to man up and we crossed the next bog towards the foot of the Coyles of Muick and our 3rd cp. The one good thing about this hill is that it is mostly grassy, but we were both tired and it was a slow climb to the top. Then it was just a long slow run back along the ridge, but a run at least. We found a decent line off the north west end back down to the gate in Glen Girnock. All in all this was a bit of a beast made a lot worse by us starting tired and low on energy. 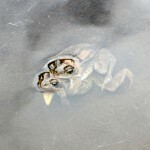 I had a quick ice bath in the Girnock after, to help speed up recovery. This entry was posted in cp45, cp46, cp47 and tagged JonM, SarahD on March 20, 2015 by site_admin. 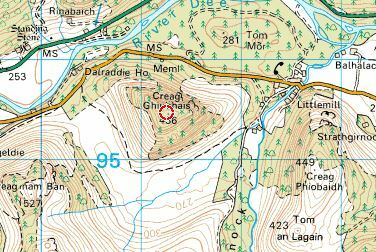 Up to Glen Girnock to go up Creag Ghiubhais, the fir rock, a hill of pine. I went up the east track, walked up the deer fence to the ridge, and then climbed from there, assisted in part by a deer track. 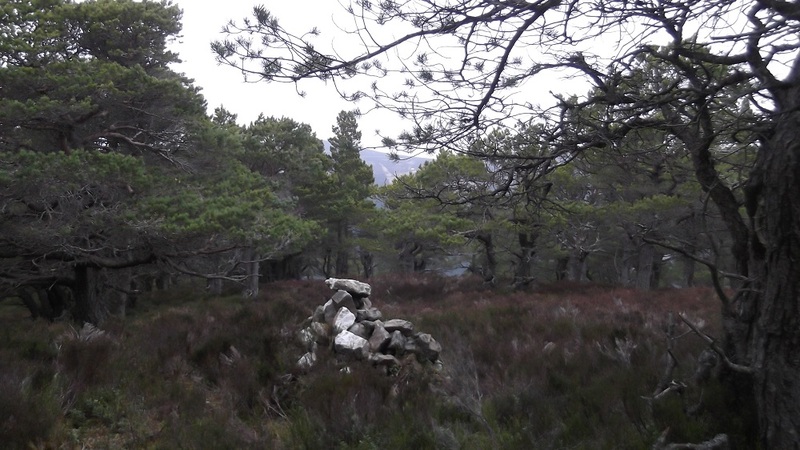 Not much of a view from the summit, but a nice cairn, mainly of white quartz. Birds few and far between, with only singing blackbird, song thrush and mistle thrush. This entry was posted in cp47 and tagged Phil on March 19, 2015 by site_admin. Although only about 1km from the roadside, it’s a tough cp due to the climbing and difficult terrain. There’s plenty roadside parking near the kissing gate and old land-rover track taking you around the west side of the hill. Eventually we turned east and headed uphill using a large area of rocks as our midway target. Beyond here we picked up a very useful deer track which made climbing far easier though we drifted a bit north. Cairn is quite small but we found it easily enough. This entry was posted in cp47 and tagged D&E on March 17, 2015 by site_admin. Steep with deep heather. 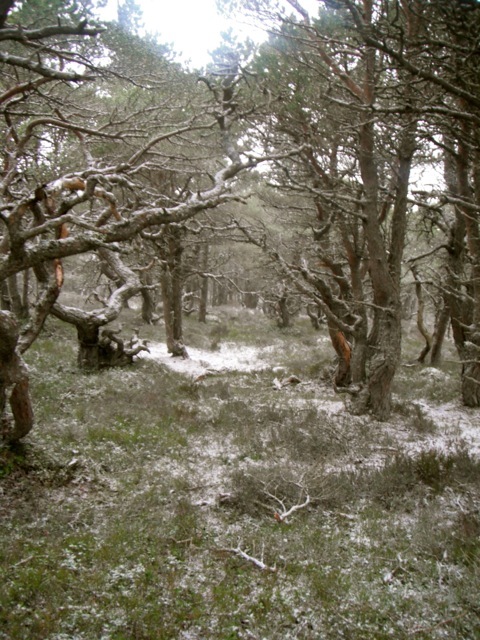 Lovely forrest of stunted pines at the top, had an otherworldly feel in the snow. 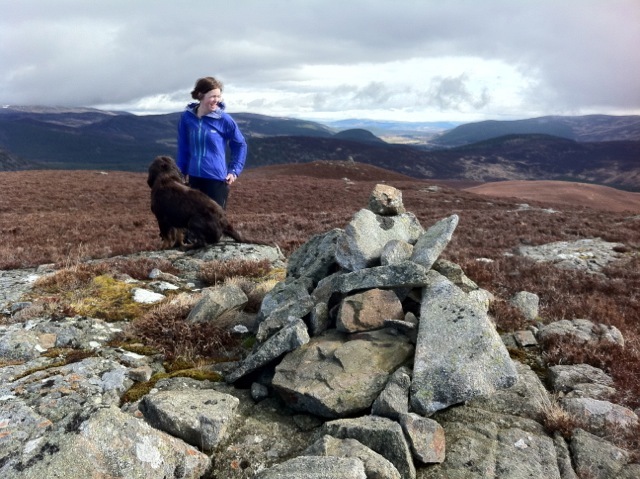 Hill has always caught my eye on way up Deeside, nice to finally visit it. This entry was posted in cp47 and tagged KatieH on March 9, 2015 by site_admin.